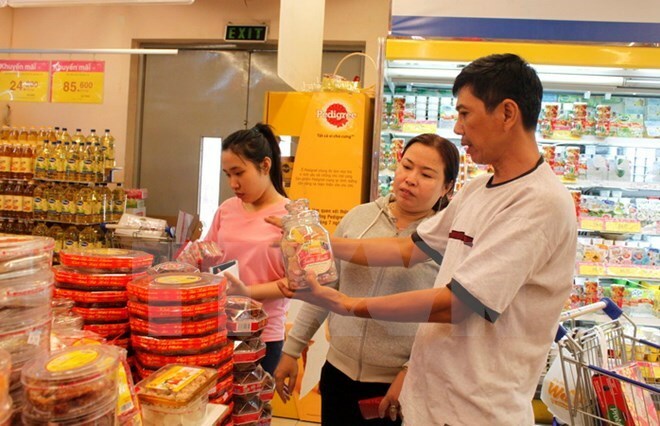 Hanoi (VNA) - The “Vietnamese use Vietnamese products” campaign has helped develop consumers’ purchasing habits towards local products after eight years of launching, said Deputy Minister of Industry and Trade Do Thang Hai. At the opening ceremony of the third “Vietnamese Goods Identification-Proud of Vietnamese Goods” programme in Hanoi on October 3, the Deputy Minister said numerous made-in-Vietnam products have convinced Vietnamese consumers. The campaign has also promoted production, enhanced the reputation of local enterprises while contributing to applying measures to ensure stable production, maintaining economic development, society order amid adverse impacts of the world’s economic crisis. Communication work continues being strengthened to enhance the awareness among consumers of using Vietnamese products, help enterprises improve their products’ competitiveness, and develop the connection between producers and distributors to bring products to remote and rural areas. The Ministry continues working with other ministries, sectors, localities, and associations to strengthen supervision and monitoring of the market to ensure product quality and food safety. The Ministry gives advice to the Government on the issuance of legal documents in order to protect Vietnamese products in the domestic market in line with international practices and commitments to the World Trade Organisation. In addition to trade promotion events, the Ministry supports enterprises to bring their products to rural areas, industrial parks, processing zones and modern distribution channels.